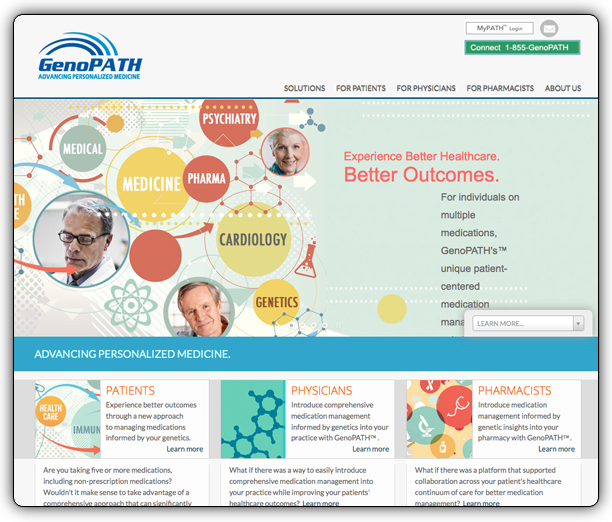 GenoPath is leading the way in personalized medicine by providing medication management to patients, physicians, and pharmacist. Through the integration of a digital experience that is design and developed with the end-user in mind, the site was developed to optimize in a responsive manner for tablet and mobile users. Through a detailed review of content assets, IONA and the Marketing Manager created and worked with leadership to create the content vision of the site. 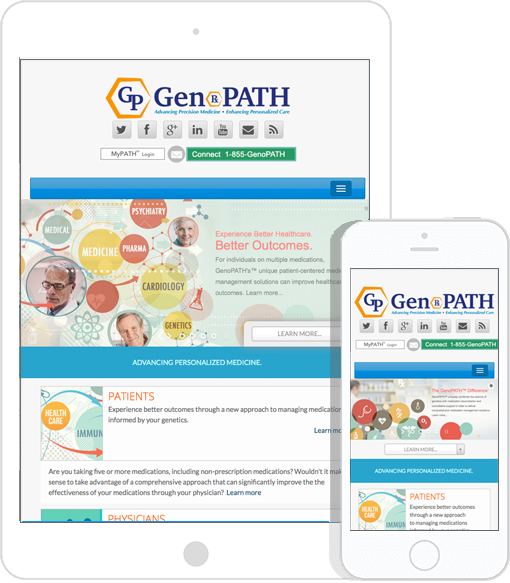 GenoPath is one company that has three very district audiences of patients, physicians, and pharmacist. To allow for the greatest communication with each audience, extensive research and understanding of the business strategy was imperative.